With over 25 years of market experience and numerous milestones under its belt, the Weirather–Wenzel & Partner (WWP) Corporation is a leading pillar of the sports marketing industry. With eight international offices including two in Spain, the corporation promotes the true spirit of sports partnership supported by an outstanding market expertise and corporate culture. In an attempt to fully understand the sports marketing industry in Europe, I was fortunate enough to conduct an interview with the WWP’s Barcelona Deputy Director Almudena Sánchez, who provided a true and detailed insight on the corporation’s culture, values and operating market. Could you briefly give me an insight on the WWP Group’s history and its mission statement? We are an independent sports marketing multinational with over 25 years market experience. Our team of more than 80 sports and communication experts look after the interests of our clients at eight European locations, two of them in Spain (Madrid and Barcelona). The WWP team brings brands closer to their target groups through the positive emotion of sports. We accompany corporate clients in different aspects: we evaluate, develop and (re) define their sponsorship strategies; and provide access to decision makers in the sporting world. The WWP services go even further with strategic consultancy regarding contract negotiations, conception, organization of events and implementations. Regarding our history, the 1980s were revolutionary years for sports throughout the world. The principle of performance and quid pro quo were interpreted anew – and the successful ski racer Harti Weirather was one of the first to recognize this development. During the years that followed, he significantly contributed to redefining the meaning of sponsorship in sports. This path of Weirather’s was clearly predetermined from the very beginning: At the age of 13 he already demonstrated the determination, willpower and enthusiasm for the sport that marked the start of his own career when he negotiated his first sponsorship contract with ski manufacturer Kneissl. In the years that followed, Weirather kept unwaveringly to the principle that stars at the top of their sport should be rewarded for their outstanding ability and the high risks associated with their profession. Leading ski-racer Hanni Wenzel also came into contact with the sponsorship business at an early stage. Due to her great successes and charisma, Wenzel was a sought-after figurehead for equipment suppliers and sponsors. The more Weirather and Wenzel concerned themselves with the subject matter, the clearer they were able to understand that in return for their commitment, sponsors expect a comprehensive service. Thus the pair entered a completely new kind of race in 1987: they founded WWP, Weirather – Wenzel & Partner AG. As a leading sports marketing company in Europe with offices worldwide, what do you believe makes the WWP Group unique and different from other sports marketing corporations in the market? We believe in the spirit of sports and partnership. This spirit spreads over to our team with highest level of professionalism, motivation, loyalty, know-how and passion. A team spirit that convinces, inspires and infects; and that is composed by a multicultural environment, coming from very different countries and with different cultural roots. What major changes have you witnessed in the sports marketing and sponsorship industry in the past few years? Has the industry strengthened in terms of competition? The online world has changed the market in an incredible way and opened an unusually high number of new possibilities. Not only broadcasting methods but also the behavior of the fans and spectators has changed enormously. This leads the brands to a new way of addressing their target groups and the general public, how they codify their messages and which channels and concepts they use for the optimal repercussion and to distinguish themselves from an immense flood of inputs that are sent to the costumers daily. Real-time, or live marketing is the newest trend that can bring a second digital revolution in the sports marketing industry. What challenges has the WWP Group faced during its 25 years in the sports marketing industry and during its journey of becoming the leading sports marketing company? WWP as a pioneering company has been able to adapt itself to all developments in the world of sports, which has become highly professional. It has grown from being mostly a local issue to an international, even global, and strategically very important tool for big companies. Our target is to set milestones in sports communication. With the professional know-how in an international business full of emotions we see challenges as a chance to be successful anew, day in and day out. Due to our continued efforts and learning capabilities, as well as our outstanding relationship and loyalty to our clients, we managed to grow with the sector and still be one of the leading sports marketing agencies in Europe. Does the WWP Group offer internship opportunities to aspiring Sports Management students and postgraduates? Could these internship opportunities be transformed into full-time employment positions? Yes, we do offer internships. Some of them can become a full-time job, as far as the projects allow it. We find internships a great tool for both parties, to be concrete for us it is the best way to get to know the strengths of people and further them to the best suitable project. We also collaborate with the German university SPOAC – a new sports business academy. 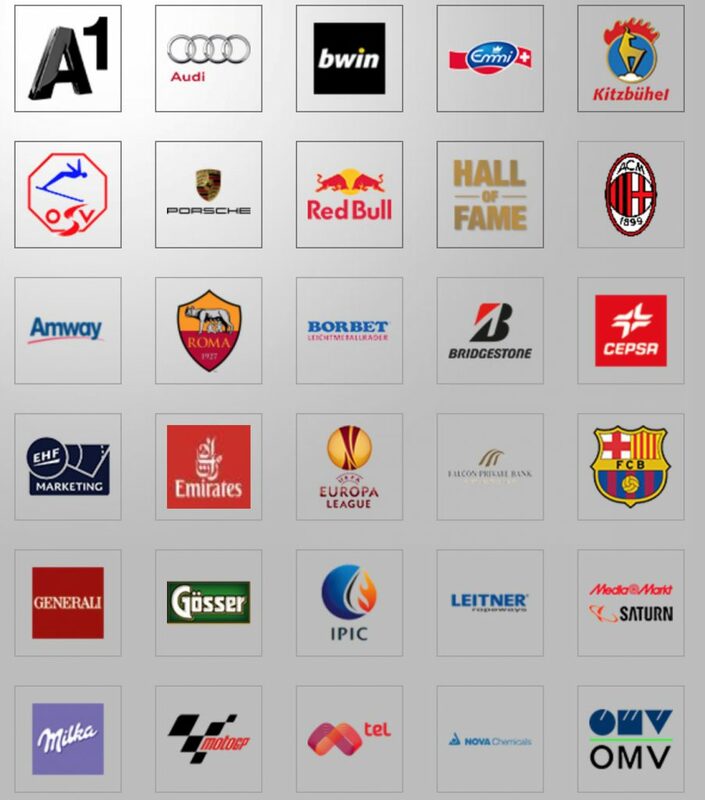 WWP is partner of the university with other important partners like the WWP is partner of the university with other important partners like the Bundesliga (the German football league) and other relevant partners in the German sports market. What would your employees say are the top three reasons they love working for the WWP Group? Last but not least, what advice would you give to students who are completing sports management degrees and are planning on entering the industry in areas like sports marketing and sponsorship? Of course, the main requirement is to have a strong passion for sports but you also need professional skills and personal qualifications, all of them are important. Challenge is a word you like and impossible is something you never say. The WWP Corporation has quickly established its market dominance in Europe while portraying the importance of partnership in the world of sports. Thank you to WWP and Almudena Sánchez for the detailed insight and best of luck for what the future holds for the thriving sports marketing corporation. Evan Planchon is a first-year Sports Management student on EU's Barcelona Campus. He lived in Vietnam for fifteen years where he was raised in a very sporting environment. This cultivated his interest in the global sports management industry and his aspiration to work in sports marketing & sponsorship.